Highbury Fields School is committed to supporting our local community through charity work and raising awareness of local issues. This year, the Year 12 Charity Committee will lead the School Council in fundraising activities and raising awareness of issues surrounding poverty in Islington. 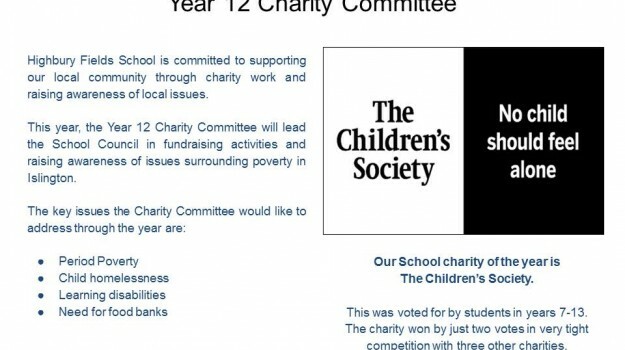 Our School charity of the year is The Children’s Society. This was voted for by students in years 7-13. The charity won by just two votes in very tight competition with three other charities.